The UK’s largest horse sanctuary is offering owners a fantastic new opportunity to gain up-to-date advice on topical healthcare issues through their education programme. With its on-site equine hospital, team of veterinary surgeons and nurses, and own training and rehabilitation centre, Redwings is in a unique position to offer owners an opportunity to glean some of the lessons learned over its 30-year history. Throughout 2015, the charity will provide a series of seven evening seminars free of charge to horse owners across East Anglia. The seminars will be hosted on the last Wednesday of the month at a Redwings venue in the region or similar location. To kick off proceedings Redwings’ Aylsham visitor centre, located ten miles north of Norwich, will host a seminar entitled ‘Tummy and Toothache: An exploration of colic and equine dentistry’, where attendees will have the opportunity to hear from Head of Veterinary and Care Nicky Jarvis and Redwings’ Welfare Veterinary Surgeon Nicola Berryman. 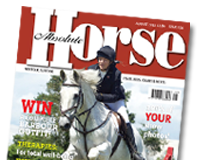 Nicky, who was recently voted Your Horse readers’ Ultimate Horse Expert, will be presenting on ‘The Horse and Colic’, covering some of the science behind the digestive system and those all-important signs, symptoms and considerations for owners on this, the most common medical emergency in the horse. Indeed, while the majority of cases resolve themselves, colic is still the condition that is responsible for more equine deaths than any other disease. Nicola will then discuss toothache and modern dental practices, demonstrating that dental health is more than simply rasping pointy teeth. As always with the welfare team at Redwings, owners will also benefit from valuable insights into horse behaviour and, in particular at this session, pain as a source of conflict behaviour. Future seminars in the series will include ‘Worming Wisdom’, parasite protection for your horse; ‘Lightening the Load’, a guide to weight management; and care for golden oldies. As well as providing attendees with valuable and practical take-home advice, Redwings’ seminars will allow owners to see the facilities at the charity’s Norfolk headquarters, gain a deeper insight into their work and to share experiences among fellow horse owners.